From Hollywood glamour to industrial chic – brand new garden furniture! Well, aren’t you just loving the sunshine today. Blue skies, a hint of bird song… wow… steady, we’re feeling almost spring like! 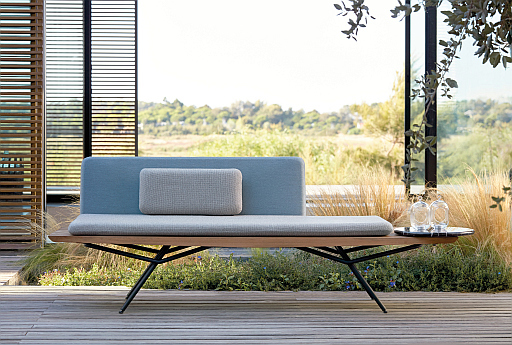 So what better time than now to introduce our brand new 2017 outdoor garden furniture collections from specialists Manutti, Tribù, Point and Missoni Home! Manutti is the the award-winning, luxury go to brand for superyachts, Hollywood villas and chic townhouses, and headlining its new line-up is San by French designer Lionel Doyen. Lionel previewed his wonderful new design with us during the London Design Festival last September.